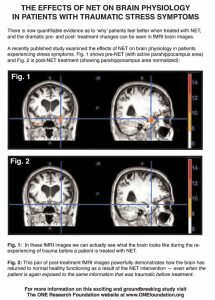 Neuro-Emotional Technique (NET) » Healing Roots Acupuncture | Acupuncture in Boston, Watertown, MA | Terry Plante, L.Ac. Neuro-Emotional Technique (NET), based on the research of Dr. Scott Walker, is a bio-energetic healing technique that allows a practitioner to find and release unresolved emotional issues, which can be stored and locked in your body, manifesting as physical symptoms of any type. These emotions may get “stuck” within any organ or system of the body, and can cause pain and other physical dysfunctions, as well as poor sleep and stress-related symptoms. For example, neck pain and stiffness can be caused by a “pain in the neck.” NET is a great tool to help you find that and fix that. Stuck emotions can exist without conscious awareness of any past trauma or its association with a particular disorder – there doesn’t have to be a conscious, logical “A is causing B” relationship, yet the relationship can exist and contribute to issues in health. Emotions are healthy human functions and normally pose no long-lasting physiological or psychological problems. While the conventional wisdom holds that emotions are separate from the physical body and its functions, modern research has now offered compelling evidence that emotions are physiological in nature and actually manifest throughout the body in the form of biochemicals called neuropeptides. The skillful application of NET can normalize unresolved physical or behavioral patterns. The correction uses Muscle Response Testing along with specific NET inquiries to specifically identify these blocks and to release them. While the events and their details are brought to consciousness, this is all very natural and safe. NET is not a “talk it out” therapy. Certainly, some patients can benefit from such therapies (and some should), and those therapies can be utilized along with NET, where applicable. NET removes energy blockages, using the principles of Oriental Medicine and the associated organs and meridians. It is a true mind-body approach. NET is effective in addressing emotional conflicts in the areas of relationships, family life, finances, career, and other personal issues that negatively influence health. 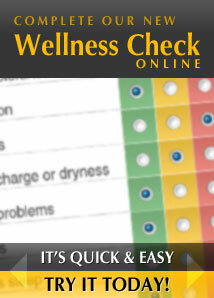 Click here to take the Wellness Check Questionnaire. This will help the practitioner to determine how best to help you. Watch a demonstration of the 2-Minute Stress Relief Procedure.